Wild garbage dumps are one of the biggest nuisances in Kabul. It just takes one walk through the streets of the capital to experience all kinds of odors. With children and animals also digging in the garbage, the piles also pose a severe health risk for Kabul’s citizens. The newly established garbage bins are a first step to make the city cleaner. Still, getting the entire system up and running will take some time. HBS was utmost pleased that only a few days after its environment conference in August 2010, new garbage containers appeared on the street. The municipality distributed shiny new containers in different parts of the city of Kabul. In our neighborhood in Taimani/Qala-e Fathullah, at each street crossing, two were placed. Old but functional garbage trucks of Russian production but also ALBA Berlin are circulating in the city. With their special system of lifting and emptying the containers, it is a big show for those who happen to attend the emptying of a container. Unfortunately, until now we have not been able to attend this spectacle often. As suddenly as they appeared, the containers also moved. The two that were right in front of our office remained only one day in their position. The next day, they had been moved further to the corner. On the third day, we found them in the sewer. Ever since, the containers have disappeared. 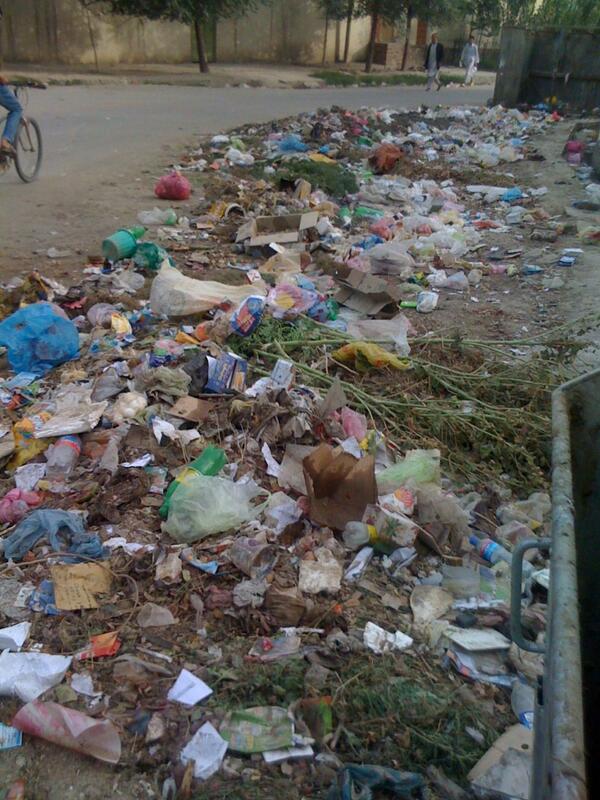 Municipality has failed in the past to establish a reliable system of garbage disposal. There are some smaller official dumps inside the city. You’ll also see men dressed in orange going through the streets who are assigned for collecting the garbage, or little old men with carriages who are looking for materials that are being thrown away but could be of any use to them. Yet the problem remains that these services are not regular. Some people try to take advantage of it by offering to take rubbish away against payment. At our house, the guards were asked for ten dollars every week – for a service that should be free. On top of that, those who collected rubbish and the money for it did nothing more than to drag the rubbish several meters away from our house and leave it in the corner of our street. The municipality’s problems are not only in collecting the garbage but also in finding an adequate place for large-scale disposal and further processing the material. At least one of the big garbage dumps about 30km from Kabul is according to an official "Mr. Nisar Habibi" at the environment conference , the municipality contested by warlords who try to control and confiscate the territory. Thus, the process itself has many flaws. However, one of the mayor setbacks in achieving and maintaining a cleaner city is the attitude of citizens. Even when there are facilities to dispose of rubbish in a more or less clean way, there is little understanding for doing so. It has just not become a habit. Thus, these days we often see the new containers clean and open in the sun while being surrounded by garbage people have just dropped around. It will take some time until the system becomes a routine. Yet it is a first step for a cleaner and healthier environment for people in the capital.